DSTRYRsg: Destroyer Submission Grappling and Brazilian Jiu Jitsu: MAHA FC INTERVIEWS TARSIS HUMPHREYS, KRON GRACIE AND JT TORRES DURING WORLDS. MAHA FC INTERVIEWS TARSIS HUMPHREYS, KRON GRACIE AND JT TORRES DURING WORLDS. 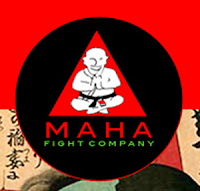 Maha Fight Company is new to us, but we dig their style and like their spiritual/philosophical approach (they even sell a meditation cushion). We especially like that they did some pretty cool interviews with a few world-class grapplers (including one world champion) during the Worlds last weekend.